Southampton Vaping Centre (formerly VaperTrails) opened on the 12th December 2012. We are all passionate vapers, who understand the need to fully demonstrate and set up your kit so that you get the best from your purchase. 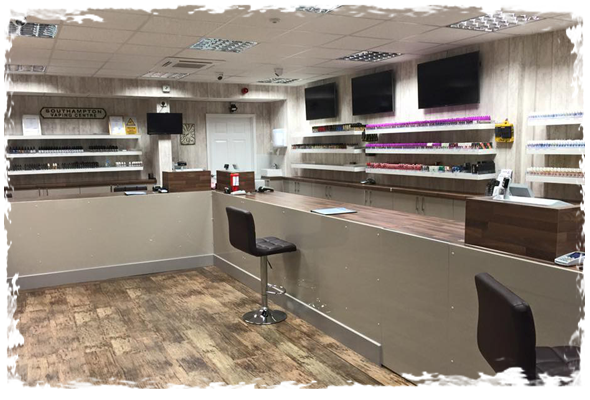 As Southampton’s first dedicated bricks and mortar Electronic Cigarette store we continue to offer excellent customer service, the latest technology with innovative design and functionality. The team… Ian, Vanessa, Steve, Gary, Bel, Jason, Seth, Kev and Abs have over 16 years Vaping experience between us. 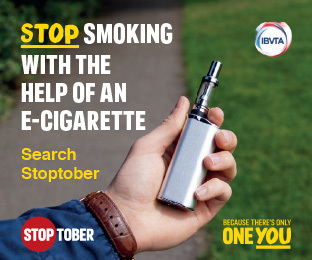 This website showcases the range of products that we have available in-store as well as keeping you informed about new products, juice flavours and Ecig news. We no longer sell products on-line. We supply quality Electronic Cigarette Kits and accessories to those looking to make the switch. We are Southampton’s Premier vaping store. We stock the latest Aspire, KangerTech, SMOK and Innokin products. Having had the privilege of serving the vapers of Shirley and the surrounding areas of Southampton for the past two years, we look forward to introducing the concept of vaping to an ever growing public who are seeking a far less harmful alternative to smoking traditional cigarettes. 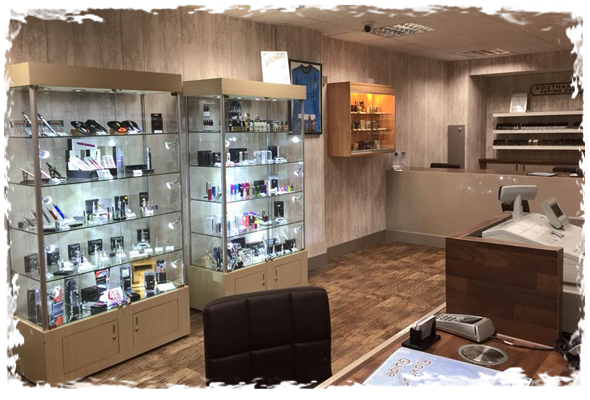 The team at SVC are Vapers that understand the needs of new starters and enthusiasts alike, so pop in for a chat and for guidance on how to get started and move away from traditional cigarettes. With an ever increasing range of products we are able to cater for those with little or plenty of experience, and with differing levels of technical knowledge and ability. We also have a wide variety of quality E-Liquid available with selected samples for you to try before you buy. Ecigologist Limited (Reg. Number 08390027) Trading as Southampton Vaping Centre. One hour free on–street parking is available right outside the shop. There are three free two hour and 5 hour car parks in Marlborough Road (SO164RJ), Howards Grove and Cannon Street (SO15 5PQ) , just a two minute walk from the shop. A free ATM is located a few doors up at Barclays bank. All these, except the 4, go from the city center bus stop that is outside an Italian Restaurant/ sports shop/bookies. How do I know where to get off? Look to your right. When you see a McDonalds next to a major car dealer you want the next stop. Having got off you should see the shop across the road.